A friend in Kenya emailed me today and told me of a plane crash. Writing about the death of a pilot I’ve flown with once is bad enough. But now to write about another so soon. Well, I don’t know what to think. Statistically flying is meant to be pretty safe. The chance of an average American dying in a plane crash is 1 in 11 million. Compared to one in 5000 being killed in a car accident. These people I knew who died were far from average. Mike Neranzic was an Airship pilot. One of very few. I only spent a little time with him but his passion and skill were obvious. 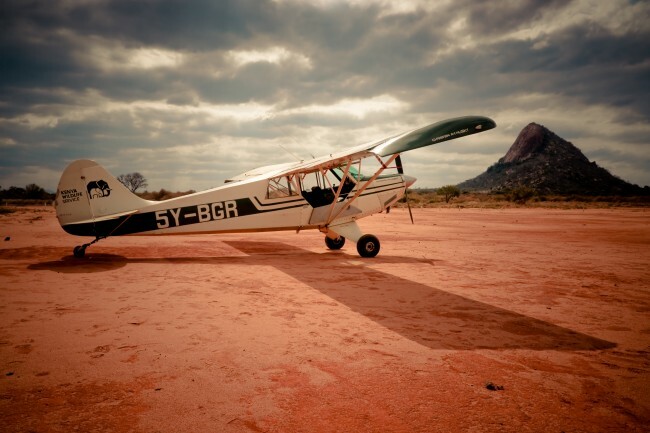 Captain Moses Lelesit flew a Husky up to three hours a day for the Kenyan Wildlife Service and I was lucky enough to hitch a ride from a dirt airstrip at the Manyani Training School in Tsavo, over to Wilson Airport in Nairobi. Moses Lelesit was Maasai and proud. Above the game reserves the usual aviation rules don’t apply. Using every inch of airspace he flew surveillance missions on the look out for ivory poachers, as well as watching the migration patterns of the animals. Sometimes he would have to fly a few feet above the ground. I got to experience this myself. Incredibly exciting yet I always had total confidence in Moses’ skills. On the trip across Tsavo we were airborne at a thousand feet when Moses called back to me asking what I loved about Africa. I told him the people. Everyone I had met had been amazing. He then asked me if I had any regrets. I thought this a strange question but replied that I would have like to have seen Rhino’s in the wild. We had seen so many animals but the ever elusive, and ever more endangered Rhino had evaded me on every trip I’ve taken into Africa. He was shocked I’d not seen any. Then he turned to me, smiled, and threw the plane wildly to the left. We banked losing a few hundred feet instantly and he headed in the direction he thought Rhinos might be. His trained eyes could see animals long before I could even distinguish a tree in the vast expanse below. In no time he was pointing to a large lone Rhino grazing in a clearing. He gained a little height then either cut the engines or dropped to revs to nothing. We were silent. Gliding over the wilds of Africa. Our shadow getting larger, our faces pressed against the cockpit. I followed his gaze and under a tree I saw a family of Rhino, minding their own business oblivious to our presence as we swooped past like a giant bird of prey. Then, I’m sure they heard us as Moses let the engine roar once more and we regained hight before adjusting our course for civilization. This was his domain. His playground and I could tell how happy he was to be sharing it. I will never forget that moment. That day. There are only a few of these moments in my life where I’m conscious that this time may be the only time of it’s kind. That I need to absorb all sensation in order to recall this moment to my children.. grandchildren.. whoever will listen. I grabbed Moses by the shoulder and shouted thank you. Terribly sad. More so when you’ve actually met the person beforehand. Really sorry to hear that. What an amazing life to have led though. RIP, Moses. Thank you for all you tried to do for the animals. What a wonderful person you were. R.I.P Captain Lelesit for the great job u did for the organization it’s really sad that u had 2 leave us so soon especially ur young family.u’ll always feature in our hrt n we will always remember u for the commendable job u did.Bravo sir may ur soul rest in eternal peace amen. RIP Moses Lelesit. Thank you for all you have done for all wildlife…Keep doing it up above! I am so sorry for your Family and Friends…. You will be very much missed. The sky will be crying. May you fly with the Angels as you so deserve. 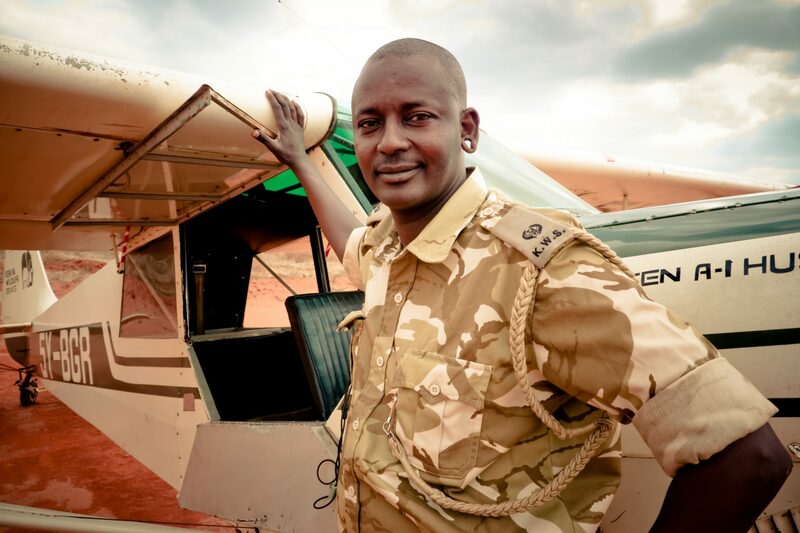 The captain had ‘retired’ but the Conservation endavour must and will be persued with the everlasting valour…..Fare the Well Comrade..Fare the Well Captain Moses!…..Tsavo will miss your Contribution! I just searched the Kenyan Wildlife Service website (http://kws.org/) to see if they had mentioned him or the crash. Nothing. I wonder if his young family get looked after. R.I.P. Cpt Lelesit. Thank you for the well done job. Your footsteps are clear in our path and we are proud of you. I am satisfied you did the best of your best to make sure the creation of God is conserved, managed and protected. Thanks brother. Rest in Peace Captain Lelesit! I am truly saddened by Lelesit’s death. lelesit was more than just a friend and an employee; he was an amazing person. he was always so kind and considerate to everyone that we always welcomed seeing her at every opportunity. His passing will not only leave a void in our lives, but in the hearts of everyone who knew him. Lelesit’s memory will always remain deep within our hearts. I can’t believe upto now,Captain,Ndauo,TCA Captain,you will forever live in our hearts.For me,you are still here,your smile,high five will always be cherished.You’re a hero Lelesit and you’ll always be.May your soul rest in eternal peace. Thank you so much Christian for featuring Moses and highlighting the amazing work he routinely carried out. He selflessly dedicated his life to wildlife conservation and his absence will trully be felt. I doubt there will ever be anyone who will fit in his shoe! Thanks to you, i can one day show my son what a great man his Dad was and the legacy he left behind.You have portrayed him as the Hero that he was and i cannot thank you enough for that. We will forever miss you in our lives,Rest in peace Dearest Moses, we will meet again some day. Hi Sylvia, I am so sorry for your loss. I only knew Moses briefly but could see he had the love and respect of all those around him. He was a great man doing great work. I am sure your boy will come to know this. He has a lot to be proud of. This is very tragic & sad news…our condolences to his family, friends and all who worked with him doing what he loved. Kenya and Africa will miss him. I grew up in Kenya, still have interests and visit regularly. I only met Moses once at Ithumba airstrip. I had seen him land and went to the strip to see if he needed a lift anywhere in the Land Rover. Ironically he had put down because he had a faulty oil indicator and wanted to check it. I’ll never forget what he said when he told me his name. “You won’t forget it … it’s Moses”. I have had the great fortune to fly in the bush with another very gifted KWS bush pilot; your story of seeing the rhino from the air resonates very strongly. These pilots do incredible and priceless work in the WAR on poaching fuelled by the ignorance and greed predominantly of Far Eastern traders in particular China, Vietnam and Thailand. It’s time human beings woke up !!! Pole pole Moses. Even now,after this time,Captain Lelesits kind face brings me to tears.He has the eyes of a beautifu,kind ,wise man.He shone.His briiance will light up the Heavens.